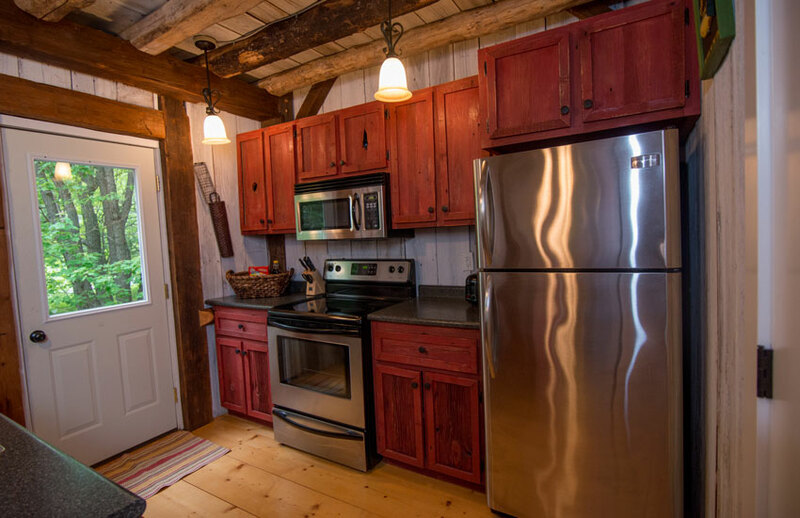 When you pull up to Silver Star Cottage you will be knocked out by the charm of this newer 3 bed, 2 bath home. 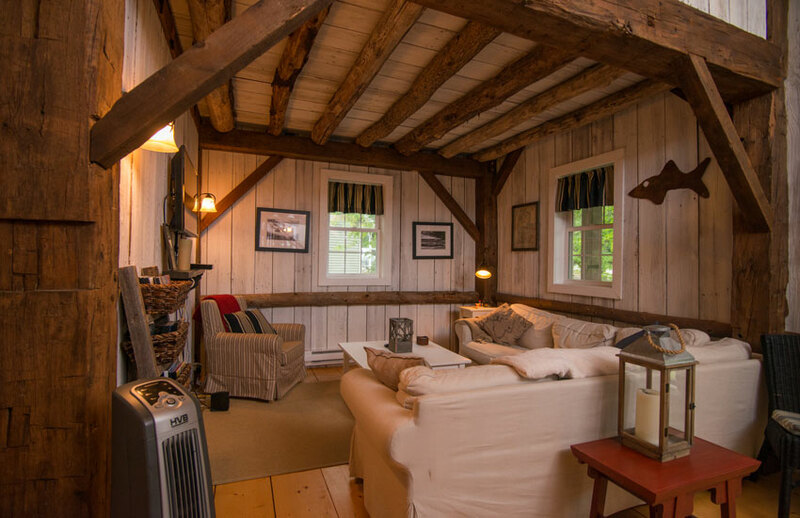 The post and beam construction using reclaimed barn timbers is both rustic and elegant. In-home amenities like wifi, cable, flat screen television and DVD players (1 Blu-ray) and more are topped off by Dash and Albert rugs, a custom-made harvest table, and comfortable, sectional furniture. 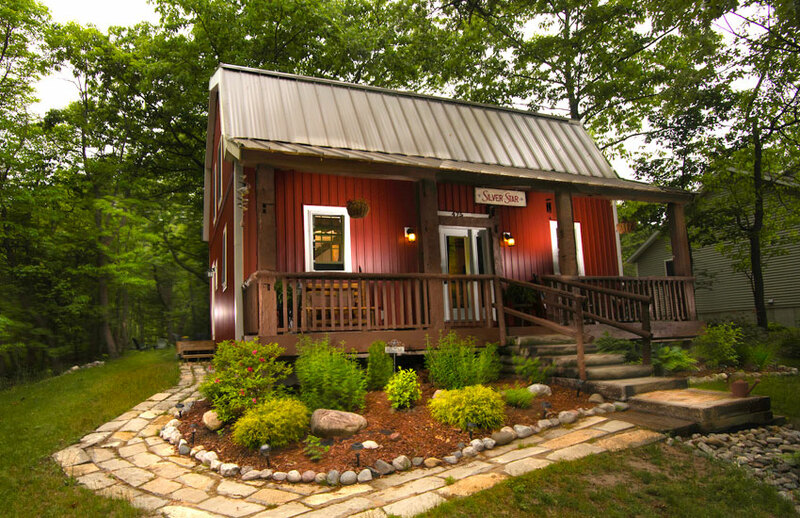 Silver Star provides most everything you need in order to be comfortable on your vacation – great beds, space to relax, covered front porch, and fully-stocked kitchen. 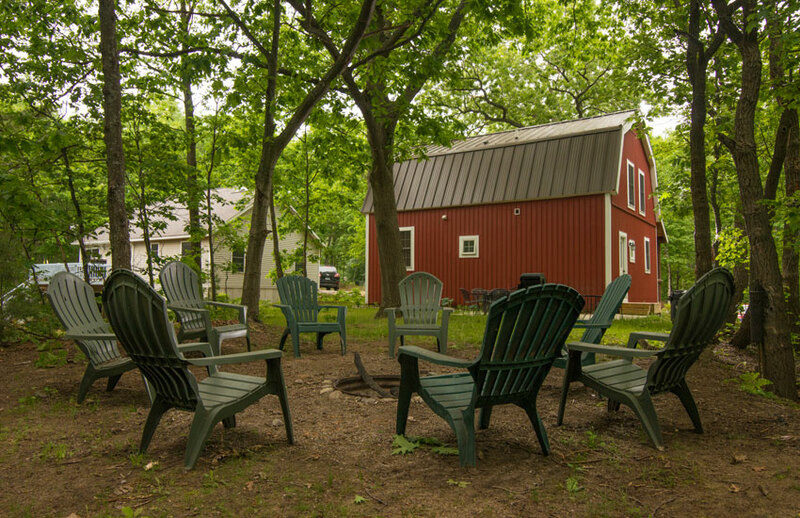 The cottage sits on a large wooded double lot in the Flora-Dale association right by Silver Lake. Located in a quiet area within the association, the home is a short stroll through the wooded path to the heated in-ground pool, clubhouse, tennis & basketball courts and shuffle board pads. There’s also 400 ft of beachfront directly on Silver Lake for your use as well. On the main floor when you first enter the home you’ll find a large greeting area which feels very open due to the soaring two-story ceiling and custom, open staircase leading up stairs. 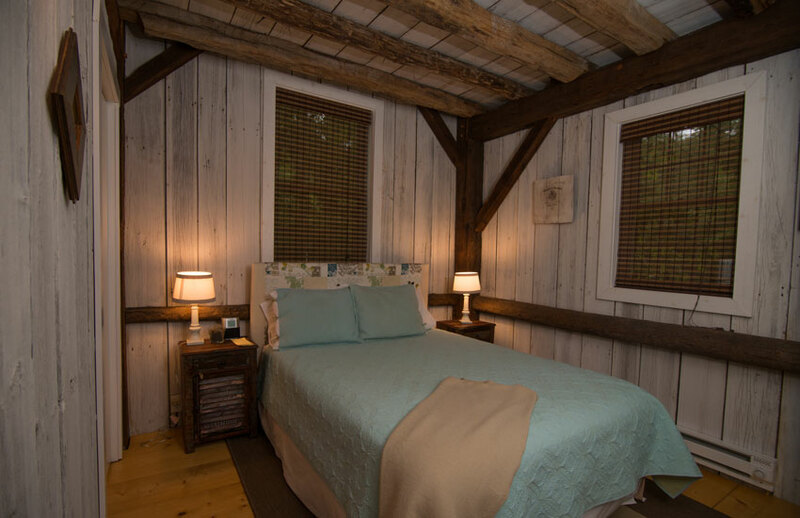 On your right you’ll find the family room along with the master bedroom featuring a queen sized bed. Straight head is a full bath. 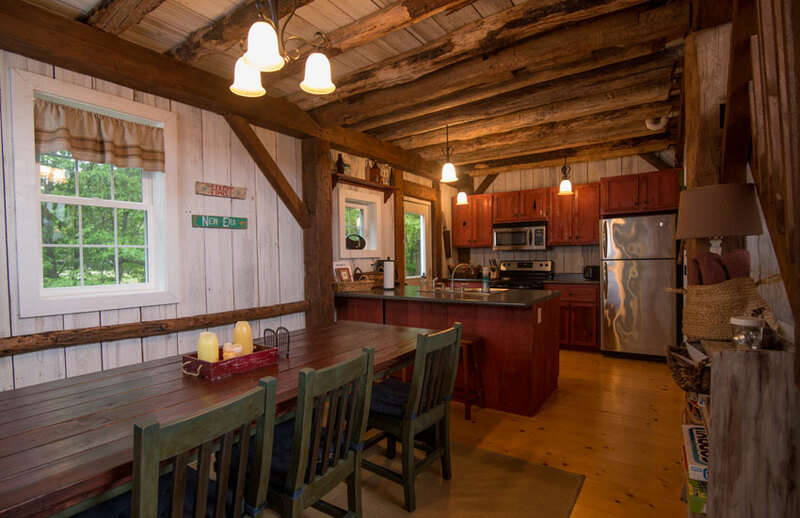 To the left is the dining area featuring a large custom-built harvest table that seats eight. The kitchen is just beyond the dining area. The door from the kitchen leads out to a large patio with another table and chairs for eight. There is a gas grill for your use as well. 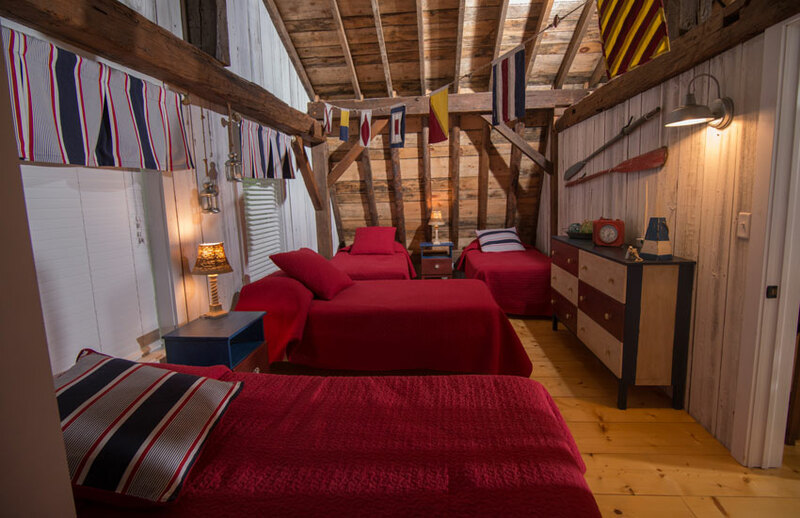 Upstairs there are two more bedrooms: one with four twin beds, the other with a queen bed. 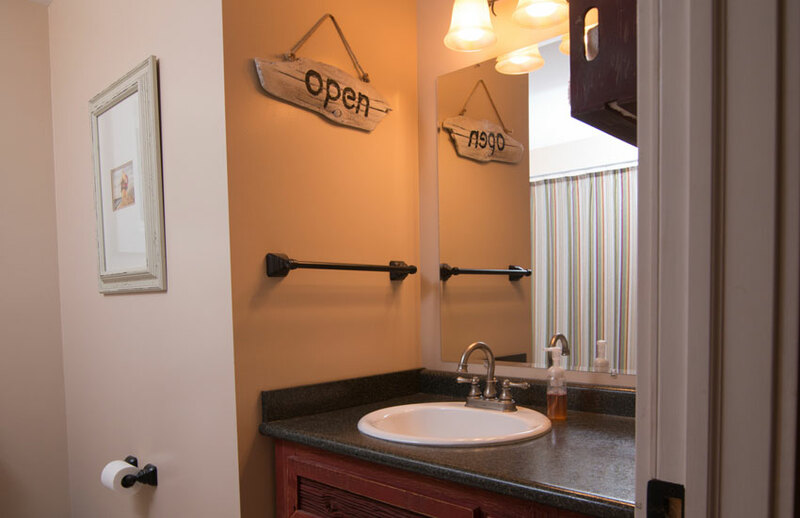 Between the two rooms is the second full bath. 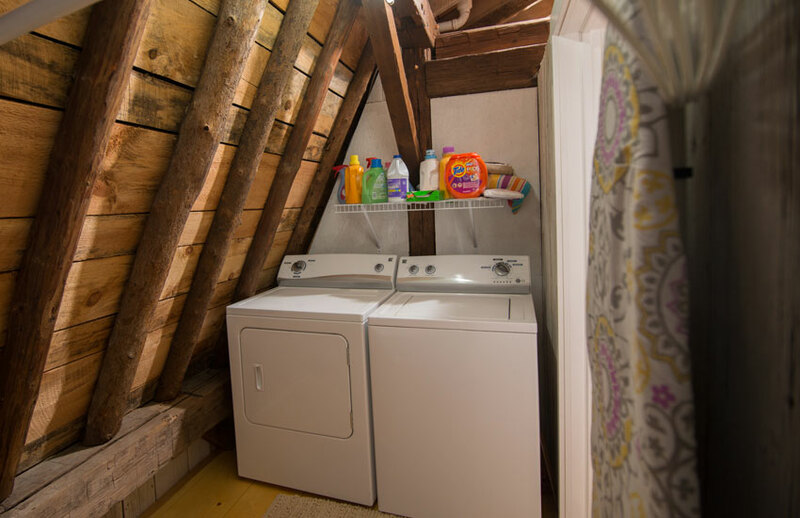 There is also a laundry room with full-size washer and dryer upstairs as well. The covered front porch has rocking chairs and sitting chairs. The perfect place to sip your coffee in the morning or to sit and read a book with a tall cool drink. Out back beyond the patio is an in-ground fire pit with chairs for eight. 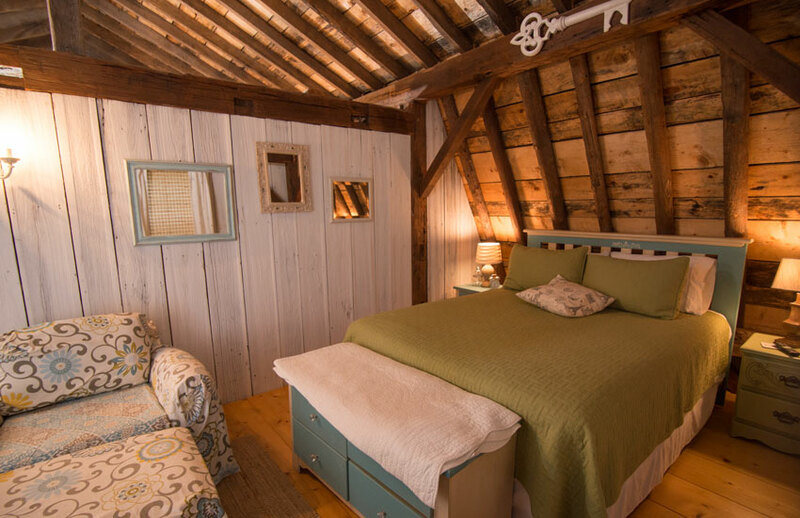 You can see all our West Michigan vacation rentals at westmichiganstays.com.